MARKETING. Maybe you have a love – hate relationship with it, either way, the heart of your business success lies in marketing! Whether you’re new to business or a seasoned veteran, marketing is equally and extremely important! And, helps you build a POWERFUL BRAND. If you’re not marketing your business, how are you going to get more clients and make an income? And most of all, if you aren’t marketing your business, then WHO WILL? 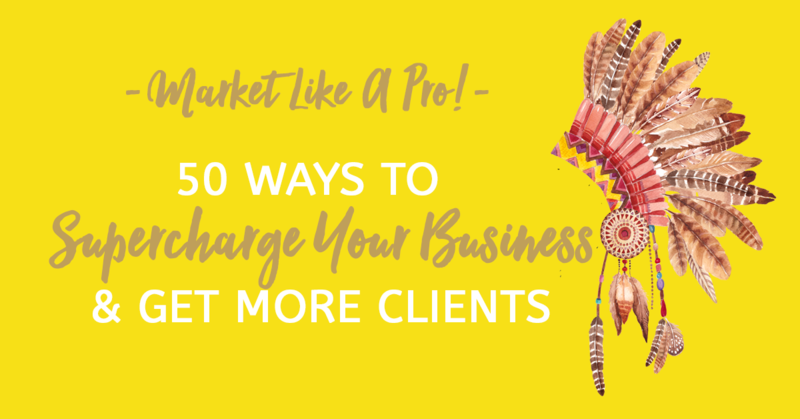 50 DIFFERENT MARKETING TECHNIQUES TO SUPERCHARGE YOUR BUSINESS & GET MORE CLIENTS. This episode is jam-packed full of value bombs, so LISTEN to it here, or check it out on iTunes or Stitcher! And as a BONUS, I have created a downloadable checklist for you as well. So DOWNLOAD YOUR FREE LIST HERE! I look forward to hearing all about your marketing success.